Canterbury polos are a favourite in countless lifestyle collections, and this Split Yarn Dye Polo is no exception with its soft, comfortable feel and bold, head turning design. 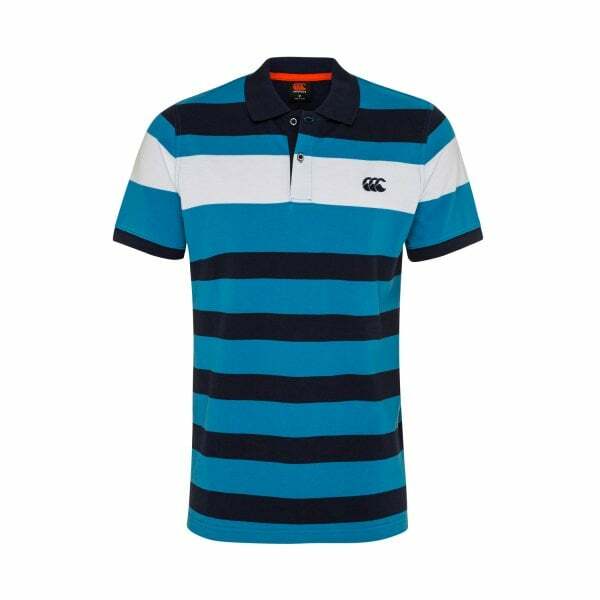 Canterbury’s Split Yarn Dye Polo features bold horizontal striping in contrasting tones, and has a rib knit collar and cuffs for a smart, casual and on-trend look. Made with 100% Cotton Pique, it’s soft, durable and exceptionally comfortable, making it the ideal garment to wear on any occasion from cheering on your team to a night on the town. With an embroidered CCC logo on the chest, it also shows your allegiance to the Canterbury community of athletes, fans and fitness enthusiasts. Eye-catching and a pleasure to wear, every man’s smart/casual wardrobe should contain at least one of these quality Canterbury polos.